He has a point you know. Purple is complementary with all the yellow in Lilith's potrait,so it will make it more nice for the eye to see.But since all the KR heroes have only one main color in their potrait since ever,better keep that in this case as well. Finwer wrote: He has a point you know. Purple is complementary with all the yellow in Lilith's potrait,so it will make it more nice for the eye to see.But since all the KR heroes have only one main color in their potrait since ever,better keep that in this case as well. I concur; while the colors would balance, a slightly more monochromatic color scheme more aptly fits -- if only for the sake of consistency. The update is ready, but it must always go through a revision by the App Store and they can take up to 2 weeks, we can't hurry them up in any way. We think it should be released no later than June 22. It took nearly a month once to get one of my apps submitted, but that's because of my low-grade indie dev status. I wish that they keep on doing these votes so we can have heroes we like. But.. a FALLEN ANGLE! That's amazing, right? 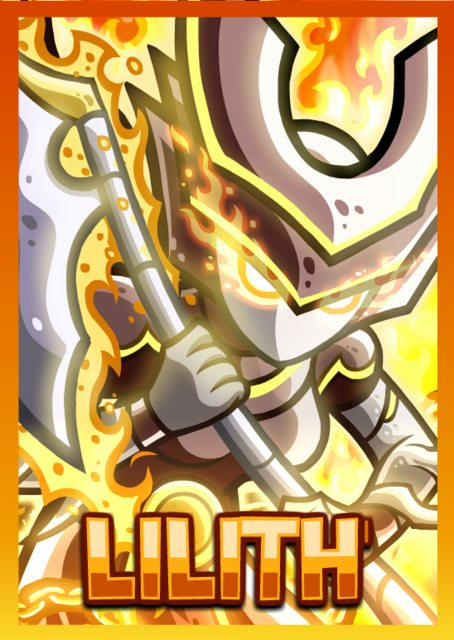 So Beta Testers does Lilith have awesome quotes, or any suggested by the community? Yeah fallen angles are so cool, like I thought maths had taught a me to like angles as it was but these fallen angles are really upping their game. I like the way that you can measure them with your protractor. The Kingmaker wrote: Yeah fallen angles are so cool, like I thought maths had taught a me to like angles as it was but these fallen angles are really upping their game. I like the way that you can measure them with your protractor. Lilith is a somewhat obtuse hero, but she has many admirers that would consider her acute. Didn't want to criticize in your own thread, just saying that the scythe looks like a halberd and the hero lacks a holy appearance. In the picture, she appears to be flaming of light. wailwail wrote: Didn't want to criticize in your own thread, just saying that the scythe looks like a halberd and the hero lacks a holy appearance. In the picture, she appears to be flaming of light.